The Essentials: This map includes the essentials such as points of interest, banks, ATMs, land marks, mini marts (OXXOs and Kioskos), gas stations, etc. COMING SOON: Map of Restaurants in Bucerias! 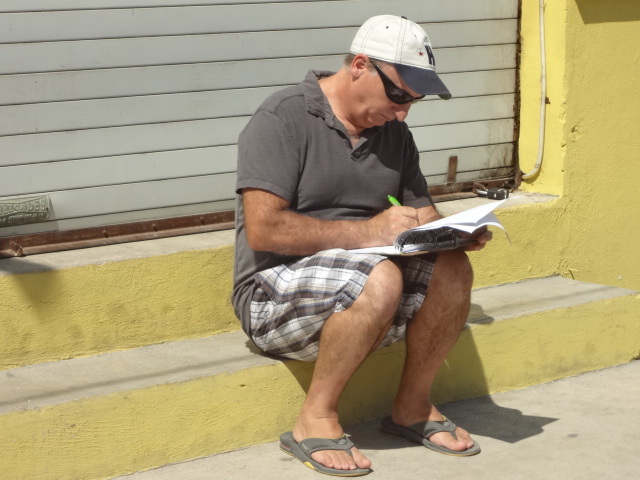 This photo captures an image of my hubby mapping out sections of Puerto Vallarta, Nuevo Vallarta, Bucerias, Sayulita, etc., including important amenities, landmarks and attractions that are of interest to tourists.